An eight-year-old girl has scored a victory for gender equality after a publisher stopped marketing books “for boys” and “for girls” following a petition she launched at her school. Els, who wants to be a palaeontologist when she grows up, was annoyed to find an exciting looking pirate book labelled “for boys” in the catalogue advertising a Scholastic book fair to be held at her school in north London. After her mother Leone, 35, told her to “stop griping and do something”, she set up a petition to send to the firm that was signed by 80 of her friends and teachers at Bounds Green School. Scholastic has now removed the “boys” and “girls” sections on its online Book Wizard which had previously limited questions about sport to boys and those about animals to girls. It has pledged to no longer publish books that declare they are for a particular gender in the title. Els, whose parents don’t want her last name published, said: “Girls may not like things that are labelled ‘for girls’, they might want a monster book labelled ‘for boys’. Books should be for everyone and we all like different things. If you tell a girl she could not have one of the books she likes, when she grows up she might feel lonely because she thinks that all the other girls like pretty, pink princesses and she doesn’t. Leone, an admin worker, said she is “immensely proud” of her daughter, and pleased that she has been able to learn that “speaking up for things you are unhappy about can bring about change”. Jess Day, from the Let Toys Be Toys campaign, set up by parents fed up with toys and books being marketed along gender lines, contacted Scholastic earlier in the week to tell them about the petition. She said it was “great news” Scholastic had agreed to changes. “It’s simply not on to tell children boys and girls are meant to like different things,” she said. 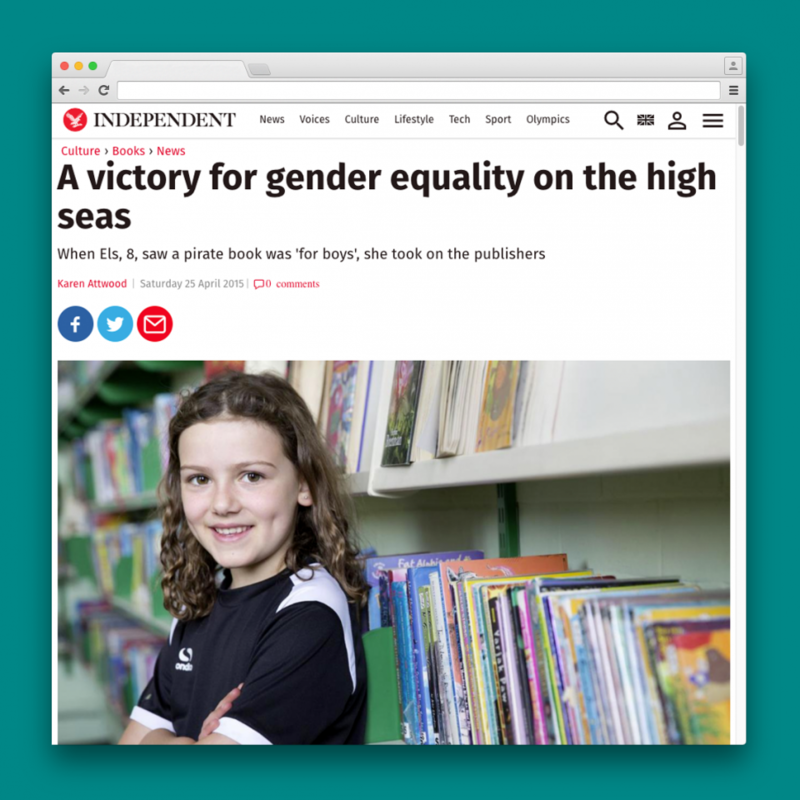 Nine publishers have now agreed to drop gender labelling on books.